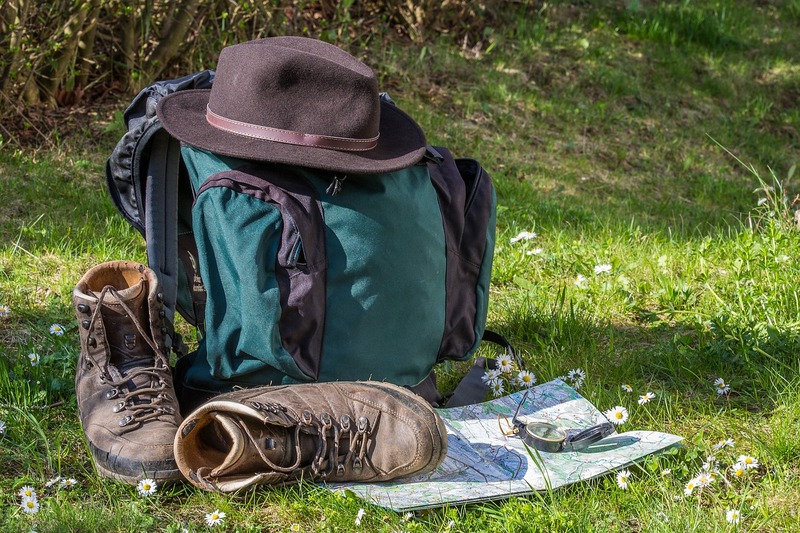 If you’re looking for more adventure than just the local trails around your home and want to venture on more than just a short hike, you should look into what backpacking has to offer. Moving from the short trails to the longer treks is a challenge but also allows you to see so much more of what nature has to offer. If carrying the essentials on your back as you explore the countryside sounds like something you want to do, then keep reading. Ranger Mac will go over some of the basic steps to help you get ready to start your backpacking adventures. Get in shape and stay in shape. Choose an easy beginning route. To start, you will want to read at least one reputable source on the basics of backpacking and one on backcountry first aid. It may seem silly to read about something instead of getting out there and actually doing it. However, it’s smart to get some basic knowledge before you set out for isolated exploration. You never know when something you read will come in handy once you are out there on those trails. Along with reading, you can also connect with local clubs and backpacking groups. These are full of people who have first-hand experience and can help answer all of your questions. It’s important to be in as good a physical condition as possible for backpacking. From your legs to your lungs, you need to be sure that your body is ready for the strenuous trails you will be setting out on. You first need to be aware of your own physical condition. Visit your doctor and have them do a wellness and heart check. This will identify any major issues that could be a problem, as well as help you know what you need to work on to get into better shape in general. With this knowledge in hand, you can then decide where to go from there to be ready for your backcountry hikes. If you already exercise on the regular, that’s great. If you really want to test if you’re ready for backpacking, though, you can put on a pack that’s loaded with five or more pounds than what you think you would be carrying on your back for the real hike. Then do your usual walk around the neighborhood and see how it feels. Backcountry backpacking is much different than your usual jog around the local track. Once you have done this and think you want to try the next step, plan a hike at a local trail and carry that same pack. Gradually increase your hiking exercise with the pack on until you think you are ready for the more isolated trails. Essentially, the best way to get your body into backpacking shape is to hit those local trails and get in all the hiking that you can, with a filled backpack on if possible. Every body and every person is different. It’s important to know your physical shape and to push only as far as you can without hurting yourself, which might end up being a bit less than you want to do. You know your body and what it’s capable of, so train accordingly and take it easy until you get to where you need to be and have some more experience. This is where those local backpacking groups can really come handy. There’s sure to be someone who would be willing to do a one- or two-night backpacking trip with you to help you learn the basics. You may even have a friend who has backpacking experience and would love to help you out. If you don’t have an experienced friend who can help, see if you have someone who would take that backpacking basics class with you. It’s always more fun to try something new with a buddy! Experienced backpackers are also the people to listen to for recommendations for the right gear for you. You may even find someone who’s willing to loan it out to you, so you can take it for a test run. From learning backpacking basics to actually getting out on those trails, it’s always smarter (and safer) to experience your first trip with another person. How much time do you have? Just the weekend? That is plenty of time for your first backpacking experience, but you need to take into consideration how long it will take to get to the trail and how long of a trail you will hike. Distance. Decide how many miles and hours you are comfortable with hiking in a single day. If you’re a beginner, a comfortable distance is usually in the range of three to eight miles, round-trip. Time of year and weather. If dusk comes early, plan your route and leave early enough to avoid hiking in the dark. Always check the weather forecast and cancel your trip if there’s a dangerous storm moving in. Logistics. Decide whether you will hike a loop, go out and back along the same path, or do a point-to-point route. Also make sure to plan out how and where you will camp along the way if you plan on more than just a day trip. Sun protection. Sunglasses, hat, and sunscreen. Insulation. Extra clothing in layers. Fire. Waterproof matches, lighter, candles. Emergency shelter. Tent or tarp. While there are so many other things you might find that you need, these are the ten things that you will need no matter what the situation or trail you take. With these first few steps planned out, you will be able to start your journey into the backcountry with confidence and set out onto some of those longer, beautiful trails. Enjoy the adventure! If you want more basic information on hiking, check out Ranger Mac’s other blogs, such as this one that goes into how to choose the right hiking boots for you!